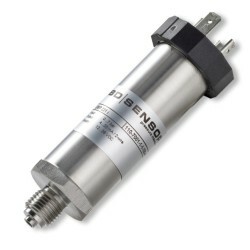 High precision pressure transmitter with an accuracy of 0.1%FS BSL NLHR and digitally adjustable pressure ranges from 400mb up to 40 bar gauge & absolute. The DMP 331i high accuracy pressure transmitter sensor uses a silicon strain gauge diaphragm housed in an oil filled capsule and the repeatable & low hysteresis properties of silicon are exploited by the digital amplifier with 14 bit A/D conversion to provide a highly precise pressure measurement over the operating temperature range. I need to measure the air inlet depression over 0 to -1 bar gauge on a diesel engine, and also the exhaust back pressure 0 to 1 bar gauge. What will be the accuracy of this of this transducer, and also I will need to be able to log at 4Hz minimum? The accuracy of the -1000 to +1000 mbar is 0.1%, so it will be 2 mbar, however the reading resolution will be much better than this if you are interested in detecting pressure changes rather than absolute accuracy. The response time is approx 5 msec, so it will work fine for your minimum 4 Hz logging rate. For measuring exhaust back pressure, it is important not to expose the transducer to directly to hot exhaust gases, since the upper temperature limit is 125°C for the diaphragm, and 85°C for the electronics housing. I am considering the DMP331i high accuracy pressure transducer for a high temperature application at about 80°C to 90°C steam temperature. How will this impact the 0.1% full scale accuracy indicated for the DMP331i and what could be done to limit this impact? The 0.1% FS accuracy does not include the temperature error which is an additional 0.02%FSO/10K = 0.02%/10K. So from a room temperature of approx. 20°C to a temperature of 90°C, the additional error could be as much as 0.12% FS (o.22% FS in total). To reduce this additional temperature error and assuming you have the ability to calibrate the sensor when the temperature is between 80 and 90°C, you can treat the error from room temp up to 90degC as a calibration shift, since you are only interested in optimising performance between 80 and 90°C. So the easiest way to reduce the temperature error is to check the output signal at zero and full scale pressure when the temperature is at it’s mid-point i.e. 85°C. 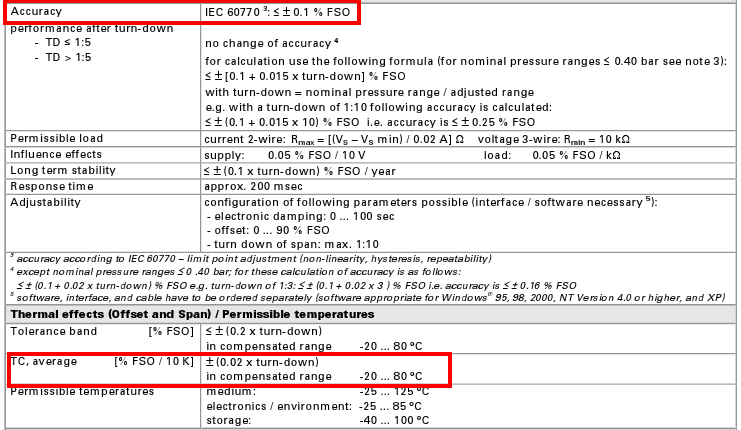 The temperature error will then become 0.02% FS over the 10°C (10K) temperature band, or 0.12% FS when combined with the room temperature pressure accuracy. If you are not able to set full scale pressure, an even simpler method is to to just check the zero shift at 85°C since most of the thermal error is typically contributed by the thermal zero shift. In terms of accuracy, what does the 0.1% FSO mean for a DMP331i high accuracy pressure transmitter scaled to 1200mbar, does that mean it will measure within plus/minus 1.2mbar? Yes this is correct for the room temperature accuracy. According to the data sheet spec the DMP331i is +/-0.1% FS within the 5:1 turndown range of the output. So a 2 bar range scaled to 0 – 1200 mbar would be within the 5:1 limit, and therefore the accuracy would be +/-1.2 mbar at room temperature. However if the measurement is not taken at room temperature you will also need to consider the temperature error which is an additional 0.02%FSO/10K x Turn down would be 0.02% x 2000mbar/1200mbar = +/-0.4mbar/10K. Can a 35 barg range DMP331i pressure transmitter be re-ranged to measure 0 to 400psi and 100psi? Yes, it can be turned down by as much as 10:1, so in this case the user can adjust the range to 0 to 3.5 bar (52.50 psi) if necessary. The range is only configurable via the optional RS232 interface and software. If the required ranges are fixed and unlikely to be changed in the future, they can be set in the factory without the need for purchasing the re-ranging option. What is the product spec description for a DMP 331i with the part number 110-2002-3-1-TA0-N40-1-111? 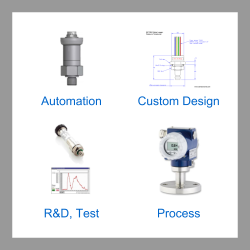 Please select the options you require for the DMP331i High Accuracy Pressure Transmitter in your application and request a quote. Send us your enquiry for DMP331i High Accuracy Pressure Transmitter to get assistance with this product type.